This year for the 4th of July, I decided to stick around close to home, and so met up with a few friends at Birreria - the rooftop brewery at Eataly, here in New York. It's a really interesting place in that it's a beer garden (so feels German), but it's at Eataly (so also feels Italian). I'd been meaning to check it out for some time, and this was a great excuse to finally get my act together! We sampled a lot of the standard fare - pretzels, assorted cured meats and cheeses, etc. - but my absolute favorites were the Shiitake Fritti con Salvia (fried mushrooms with sage), and the Probusto house-made pork and beef sausages. The mushrooms were outstanding - salty and crispy, great texture, and not too oily. The sausages were fantastic - the taste and the texture really felt authentically hand-made, and I never realized how much of a difference that can really make. But the real star of the sausage dish was the potatoes it came with on the side - the seasoning (mostly coriander) and something else about how they were prepared... I've never had potatoes like that. 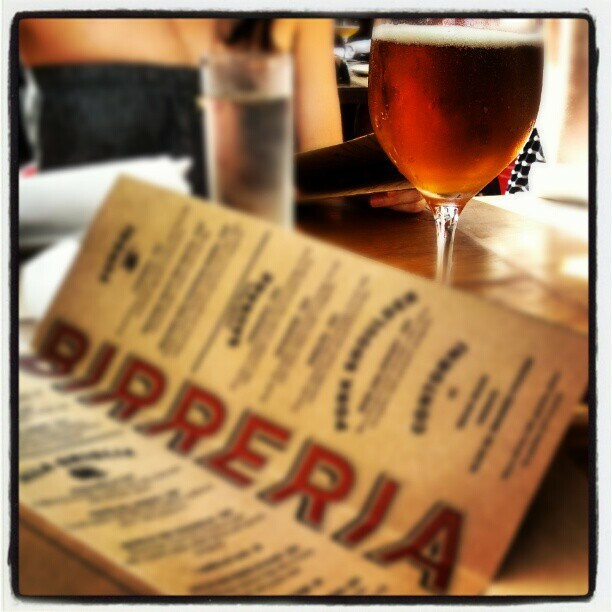 Please take my advice on this one: Go to Birreria, order this dish, wash it down with some tasty beers! There are a number of great beers on the menu. Next time I go, I will absolutely be trying one (or more) of their house-brewed ales, but for this first trip I decided to order off the bottled beer menu. The first one I had was a Dog Fish Head 90-minute IPA (pictured above, in the wine glass). I love a hoppy, bold IPA and this one certainly didn't disappoint! Next, I went with a Southern Tier Double IPA - another solid choice that quenched my thirst for something hoppy and full-flavored. 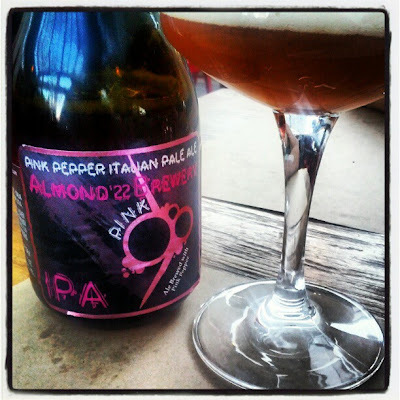 Feeling adventurous, I decided to try something a little different - an Almond 22 Pink IPA, an Italian Pale Ale, made with Pink Peppercorns. It was definitely hoppy and full-flavored... but the peppery taste was a bit much for me. It might be enticing to those with more discerning beer palates than mine - but I think I'll pass next time. All in all, I had a great time at Birreria (picking up some salted caramel gelato downstairs at Eataly afterward certainly didn't hurt! ), and can't wait to go back again sometime soon! Now that is my kind of place! 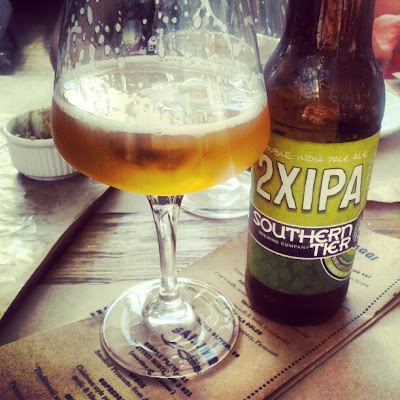 I'll second your opinion on the Southern Tier Double IPA. Sold all over the Empire State (and likely beyond) and a must-try for all IPA lovers.